It is a family run Guest Hous located a kilometer away from the main town. It is designed with you in mind. We've tailored each room, our hospitality and amenities to make sure your stay is as enjoyable and relaxing as possible. We hope that our attention to detail shines through each and every moment of your stay. 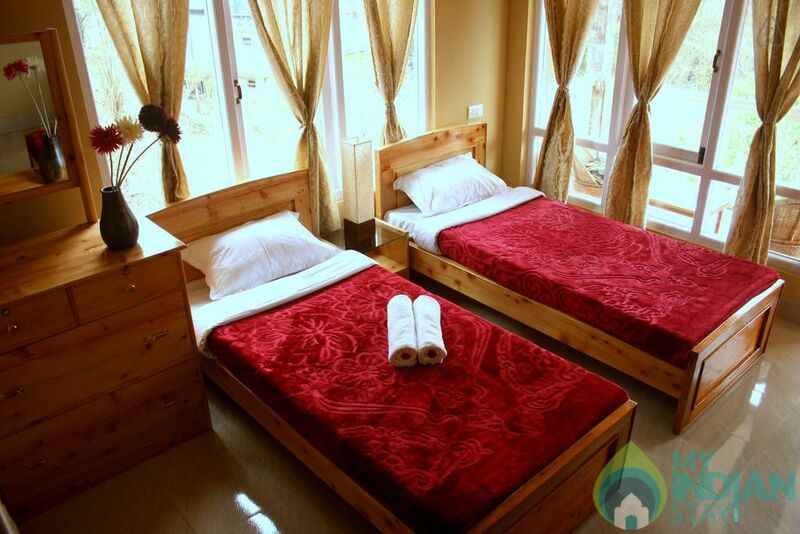 We provide comfortable and scrupulously clean accommodation. Rooms are well facilitated with balcony overlooking the garden and lawn. 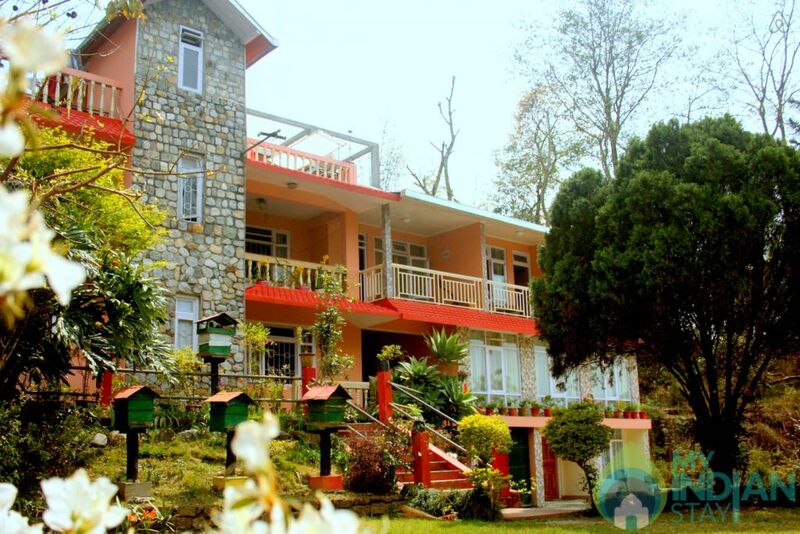 The best reason to be with us is that you can experience kalimpong like the locals. 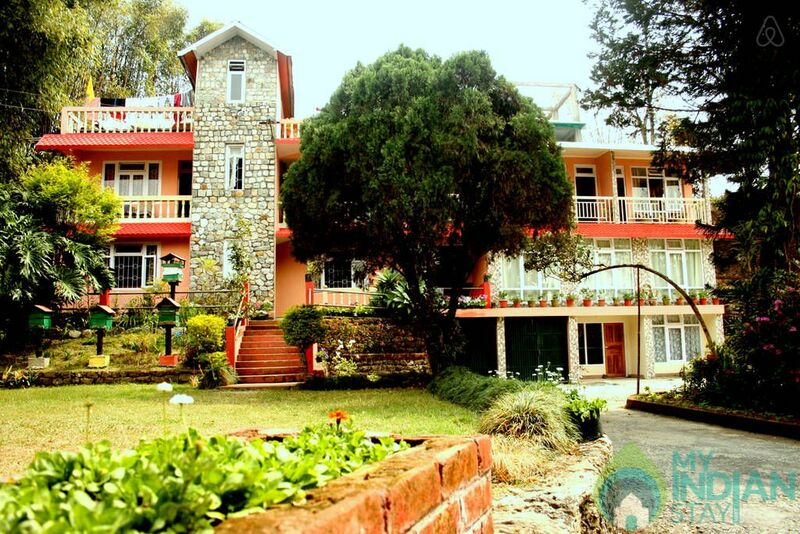 The house is designed so that the view of the kanchenjunga mountain and garden are prominent from every location in the house. Our rooms are fitted with all require amenities by travellers. Housekeeping service is available on a daily basis. We provide the best quality bed, linen and bath towels. Cleanliness is our motto. We offer a multi cuisine restaurant and additional cooking (for any item of your choice) services can be requested for if needed. The products use are organic and fresh. There is free unlimited Wi-fi and it is accessible from all the bedrooms and at all location. Car and bicycle rental facilities are also available for which information will be provided. We are surrounded with friendly, quite, helpful and caring neighborhood. there is a small stone carved Hindu temple designed by the head of our family ( guest can use the temple space for meditation if wishes). There is two small convenience stores outside the guest house (which is just 5 mins walk). You can visit the famous Dr. Graham homes school and the old Catherine Graham church ( which is 10 mins walk from the house). if you love hiking, you can visit the Eco friendly spot and surrounding by the local villagers. Shared taxi to the main town and other destinations are available readily, although the best way to get around in kalimpong is walking around. We can arrange vehicle for pick up and drop (with the best available rates). Parking is available without any charge. What brings you to Kalimpong? Who all are coming?